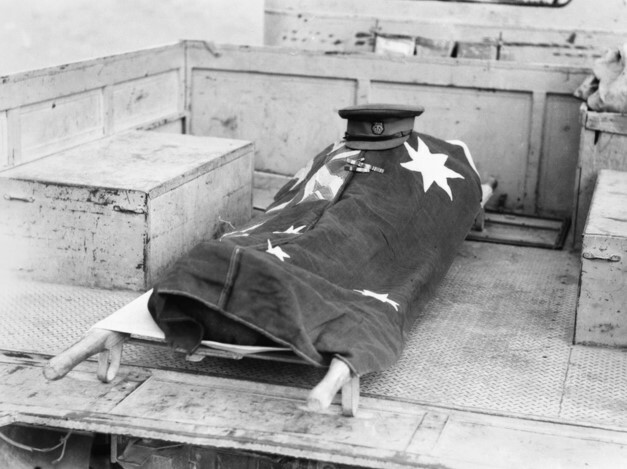 Whilst browsing the Australian War Memorial I came across a striking image – a photograph entitled ‘The last journey of a Gallant Soldier’ showing the body of Brigadier Arthur Harry Langham Godfrey en route to the cemetery at El Alamein in November 1942. Godfrey was remembered as ‘happy go lucky, always smiling’, a ‘good mixer and a very sincere man’. Resourceful, courageous and compassionate, he administered discipline firmly and fairly. A former adjutant said of him, ‘he had the priceless gift of being able to move about, and be equally [at] home with all ranks . . . He was a fine commander too, clear and incisive’. Arthur Harry Langham Godfrey (1896-1942), army officer and auctioneer, was born on 26 January 1896 at Camberwell, Melbourne, second child of Charles Edward Rowlandson Godfrey, a bank clerk from India, and his Victorian-born wife Isabel Frances, née Langham. Educated at Central College, Geelong, Arthur was employed as a clerk and served in the Militia with the 70th Infantry (Ballarat Regiment). On 11th January 1915 he enlisted in the Australian Imperial Force; went onto see service in Egypt and the Western Front where he was awarded the M.C for his part in leading a trench raid. Between the wars Godfrey lived at Newtown, Geelong, worked as an auctioneer for Strachan & Co. Ltd, stock and station agents, and was an active Freemason. He resumed his involvement with the Citizen Military Forces in 1920. In 1927 he was promoted lieutenant colonel and seconded to the A.I.F. in 1939 to take command of the 2nd/6th Battalion which embarked for the Middle East in April 1940 for training in Palestine. 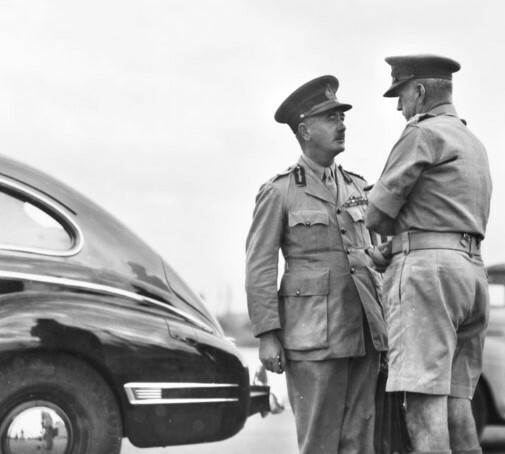 Godfrey served at Tobruk where he led with ‘ability and purposefulness’ before being moved to Egypt to help block Axis forces advancing towards Cairo. 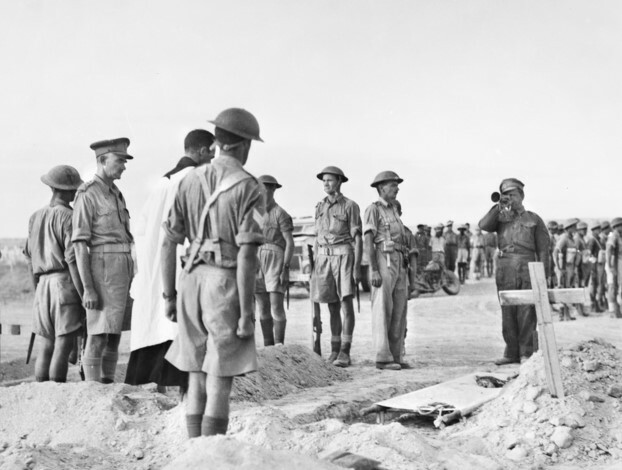 During the Battle of El Alamein Godfrey directed the brigade’s operations until the evening of 1 November when his tactical headquarters received a direct hit during an enemy artillery barrage. 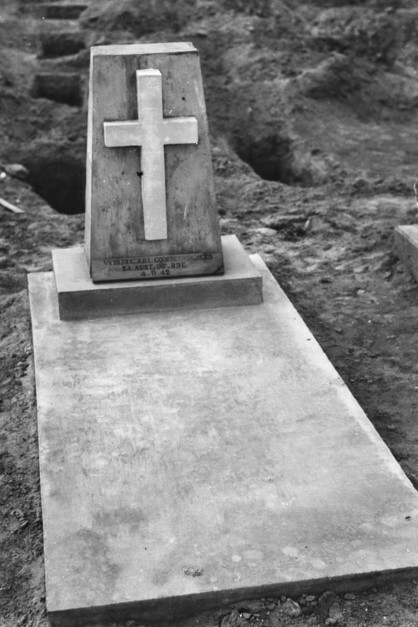 Seriously wounded in the abdomen, he died on 4 November 1942 and was buried in El Alamein war cemetery, A.I.A.1. He was survived by his wife Mabel and their three sons.